Jamie’s experience spans business development, account management, strategy, media and communications planning on both the client and agency sides. Her agency experience reflects a deep background in client service and agency leadership. 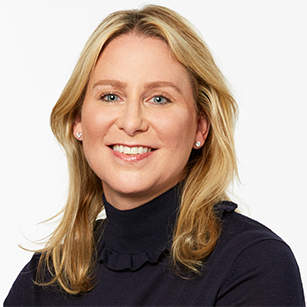 Prior to joining Publicis, Jamie helped to launch Paris-based agency Marcel in the U.S. She was also a Managing Partner at Naked Communications where she led the development of brand, business, digital and integrated communications strategies for clients, including Heineken, Revlon, NBCUniversal and GSK. Jamie also served as the Director of Client Services at startup Toy New York, where she helped build the agency from the ground up and cultivated partnerships with such companies as Activision, Google, Virgin Mobile, OfficeMax and Amazon. Other agency experience includes BBDO, Fallon New York and Kirshenbaum Bond + Partners. On the client side, Jamie was the Director of Advertising at NASDAQ. Arriving at the stock exchange just after the tech bubble burst, she was instrumental in turning around the much-tarnished brand. More recently, she spent a year working hand-in-hand with the Global CMO of Pepsi to help reimagine the brand for a new generation of consumers, while driving consistency, cohesion and rigor across the global organization. Jamie has been a guest lecturer at Columbia University and an advisor in the School of Visual Arts’ Masters in Branding Program. She graduated with honors from Duke University.